It has been FAR too long since my last post - life has been busy! So I'm going to jump right in. My husband, Josh, and I are becoming foster/adoptive parents. Our home study is on Thursday and we are very excited! Here is a picture of the bedroom that we are working on putting together. A friend is giving us the beds that her twin girls have outgrown and they come tomorrow! 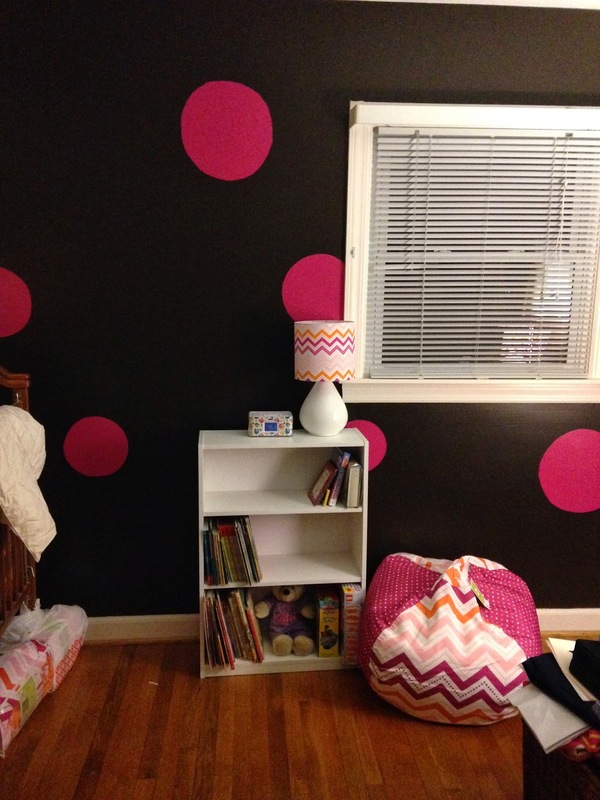 We are praying for a young girl, hence the pink in the room! 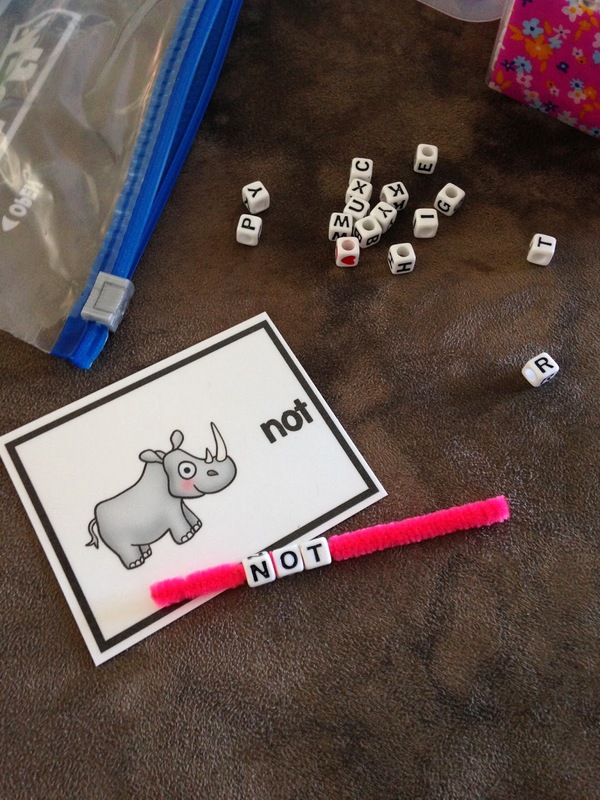 I just purchased Marsha McGuire's (from A Differentiated Kindergarten) I Spy Word Work unit and here it is in action! Check out her work - it is a lot of fun! And like all of Marsha's work, there is something for everyone in these units! 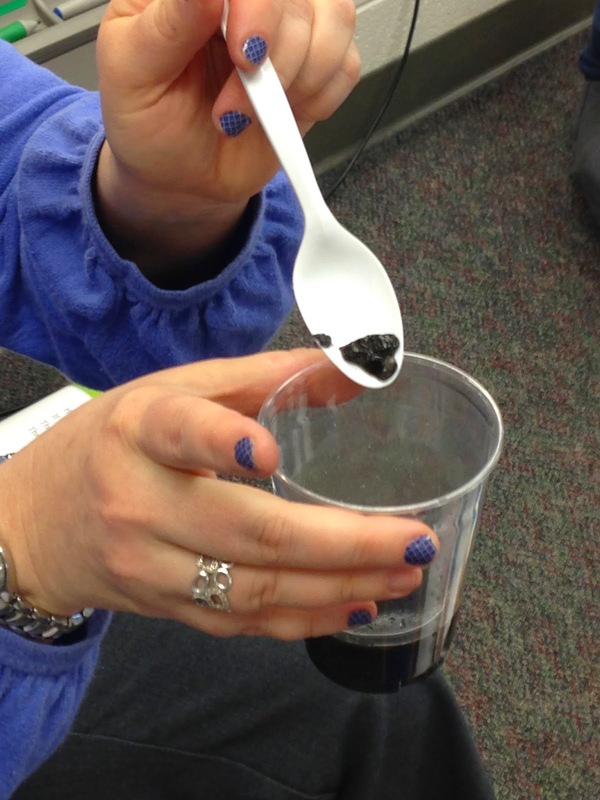 We have been working on our matter unit in science the last two weeks. 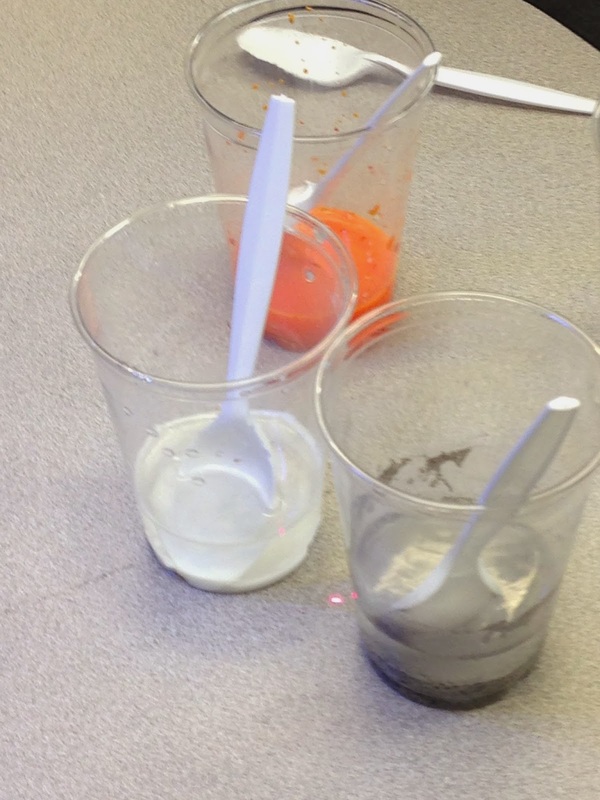 One of our activities was dissolve or not dissolve. Here are some pictures from our lesson. 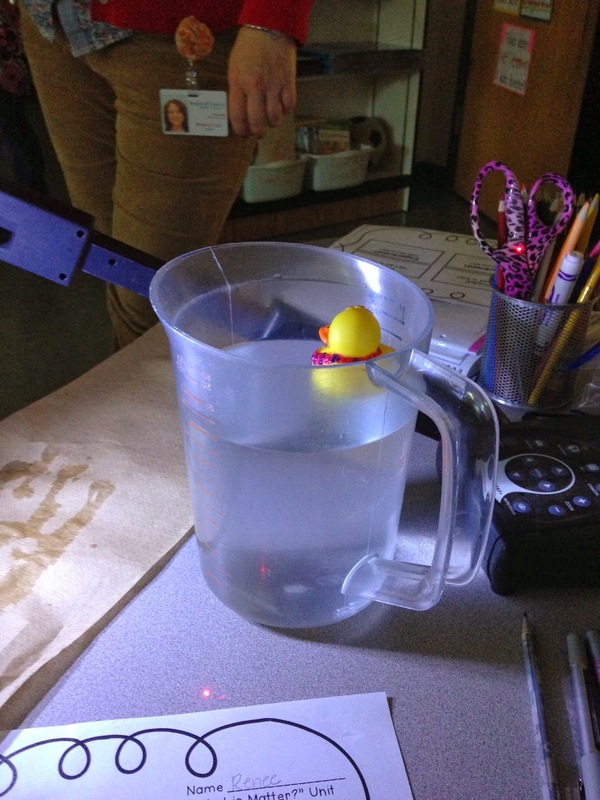 This week we started sink or float. 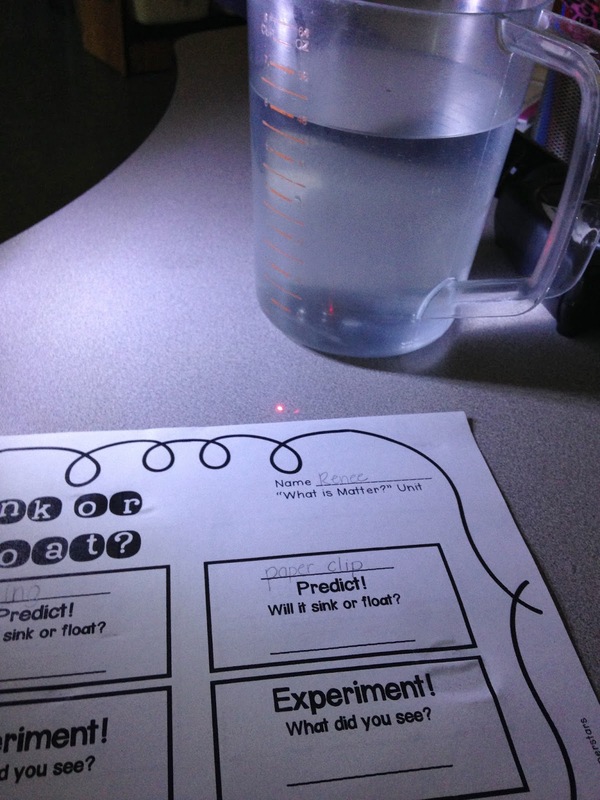 After making our predictions, we placed several items in a tub of water. Here are a couple of pictures. They LOVED how the match box car landed! The children then started looking around the room and through their desks to find more objects to test. I use a clip system with clothespins. One of the children took his down and we tried it - it bobbed and then went to the bottom ... so we took it apart and put the two pieces in the water. 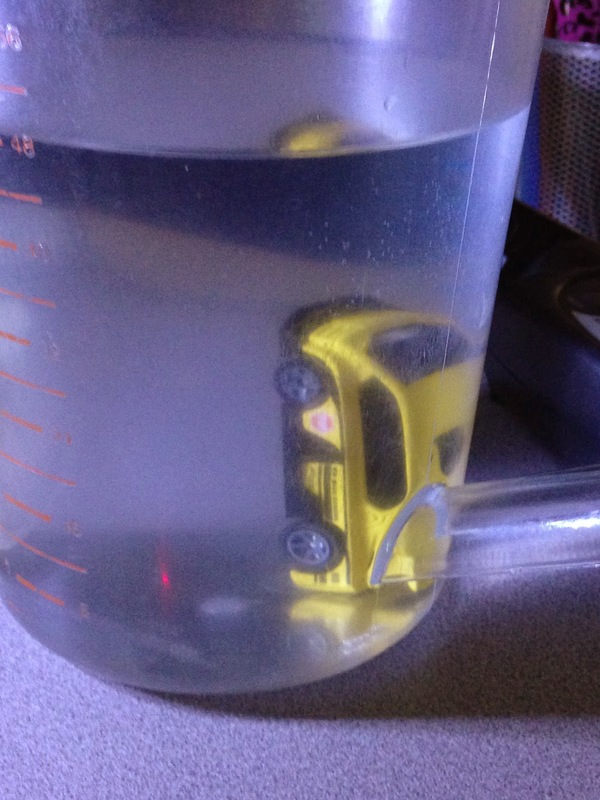 The part with the metal on it sank, while the other one floated. They were SO excited! We just finished our time unit. In Virginia, first graders are only required to tell time to the hour and half hour. 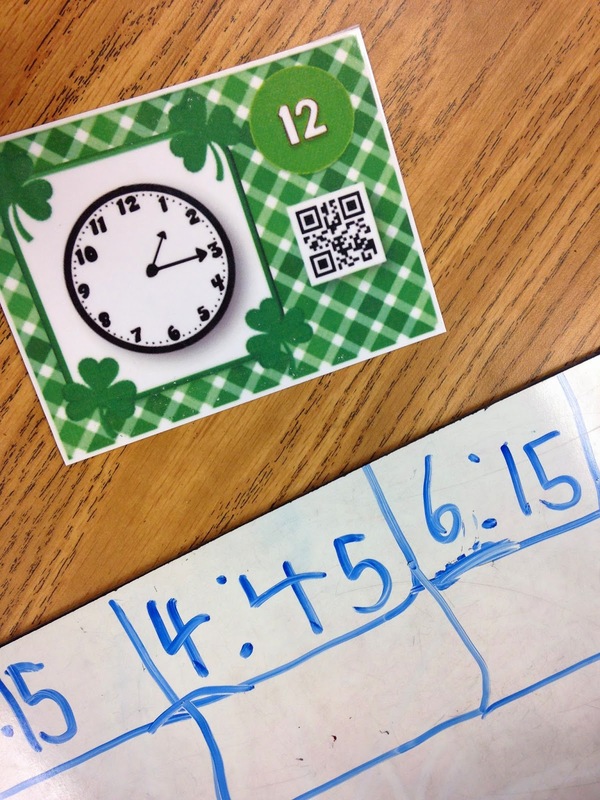 I have several children who were ready for a challenge, so I used Tabitha's St. Patrick's Day Time QR code task cards. 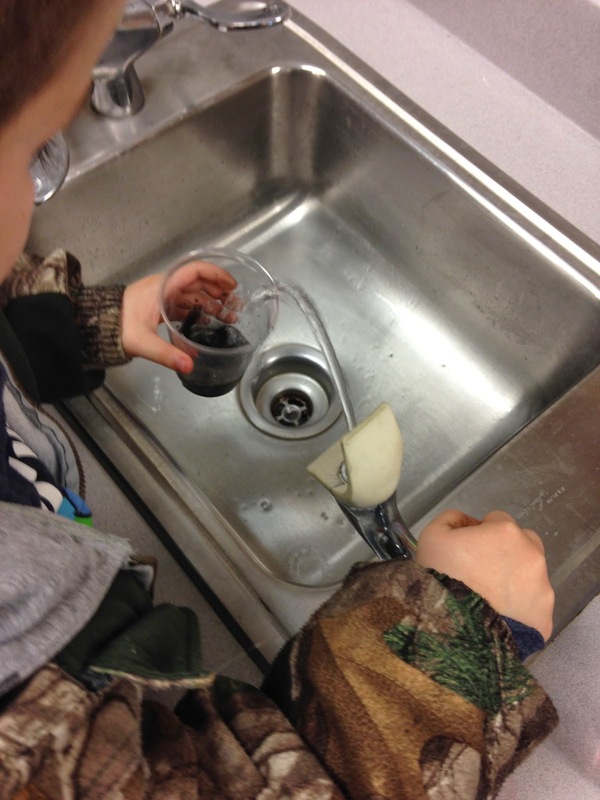 In a short 20 minute enrichment lesson, these kiddos were pros! 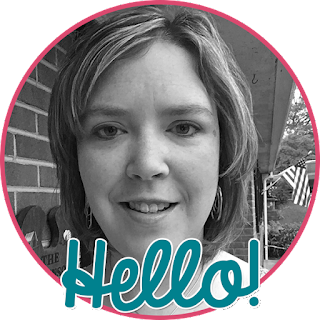 If you don't know Tabitha from Flapjack Education Resources, be sure to check out her blog and store! And for hanging with me during this long post, I have a freebie for you! This is not in my store, so be sure to grab it here! 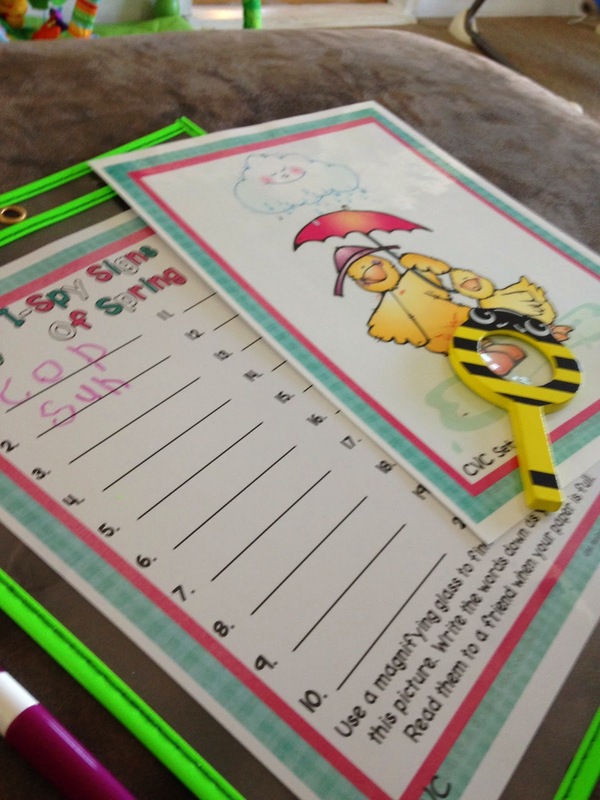 We use the SuperKids reading program for our reading instruction and I made these to practice using the y sounds at the end of words. Thank you for the shout out! I love how they used white boards to record their answers - very green. :) Thank you, Sarah! Love this freebie, thanks! I'm glad I found you on Manic Monday. I'm your newest follower. This is a really cute, great freebie! Thank you for sharing!